Available at Asia Fashion Inc. Platforms suited for a modern Geisha! Not for those with Acrophobia! 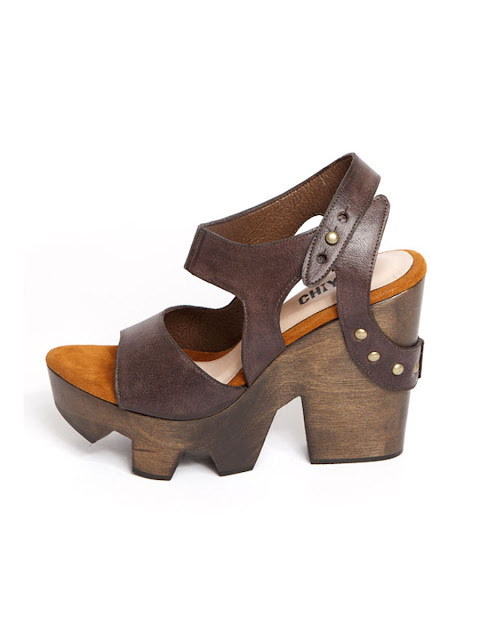 Contemporary, bold and kooky, CHIYO’s shoes are anything but conventional. They play on geometry and unusual cuts to create something that looks hard to pull off but is actually quite practical. I especially love the Lady Beatnik Pumps which look deceivingly elegant and egdy at the same time. I have to say that the quality of CHIYO shoes – which are all hand crafted – is exceptional so there’s no danger falling off in those heels! Available at ShopChiyo and Asia Fashion Inc.
Full of attitude, this pair looks edgy an comfy at the same time! The most ‘glam’ label of the lot, GlamRockChic does what its name promises and brings a slight rock feel to the chic pair of heels. Lady-like, feminime but not boring, I love the ankle boots in a more grown up and rich shades of green, fuchia, mustard and greys. My favourite has to be their newly-released Warrior Princess python and suede pair which is absolutely gorgeous! Available at GlamRockChic and Asia Fashion Inc.
Love this pair from GlamRockChic!!! Remember my entry about those moccasin platforms? Probably the most fun and playful of all, Chic Yamada creates some literal foot candy especially with the choice of bright hues and pastels which would light up any dull outfit this summer. I love their new Mary Jane T-bar platforms in pastel purple which reminds me of cotton candy. I would be tempted to team it with absolutely anything I wear this summer! Available at Chic Yamada and Asia Fashion Inc.